These slow cooker habañero wings are the perfect combination of sweet and spicy- and the best make ahead game day recipe! Football season is BAAAACK! And in Colorado, that means Denver Broncos watch parties are happening every Sunday for the next few months. I just stocked up on the perfect party spread (including the decorations!) a our local King Soopers, and I can’t wait to share the details with you. But first- back to the Broncos. I actually went into labor with Big Sister during a Broncos playoff, and listening to the game in the womb must have worn off on her, because she NEVER wants to miss a Broncos game. We love to pile on the couch and watch the games as a family- but I don’t love to be cooking game day food while everyone else is watching the game. And that’s how this slow cooker habañero wings recipe was born. 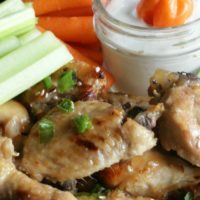 These wings are cooked for tenderness in the slow cooker and then broiled just before serving to make them crispy and delicious. I can make them ahead and enjoy the game, and when half time rolls around I’m just 4 minutes from crispy wings for everyone! Of course, even though these slow cooker habañero wings are super delicious, they aren’t the only food on the table at game time. I love to do one centerpiece recipe and then grab fun sweets and sides that are no prep. 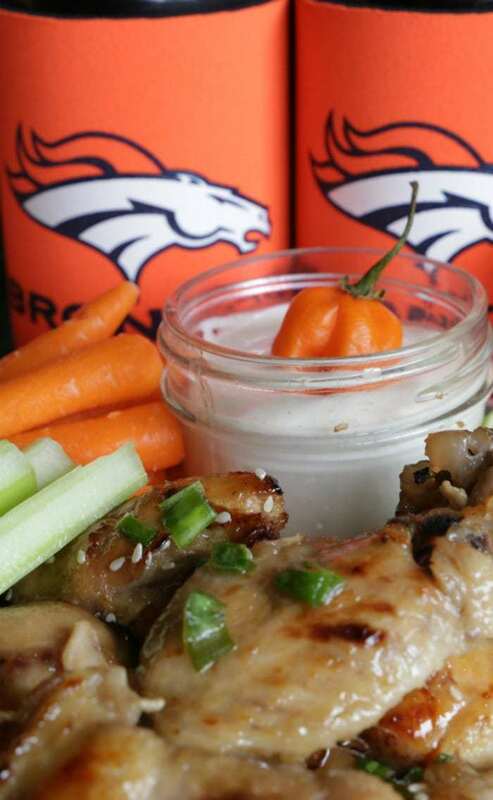 I served my habañero wings with ranch dressing, and the prerequisite carrots and celery. 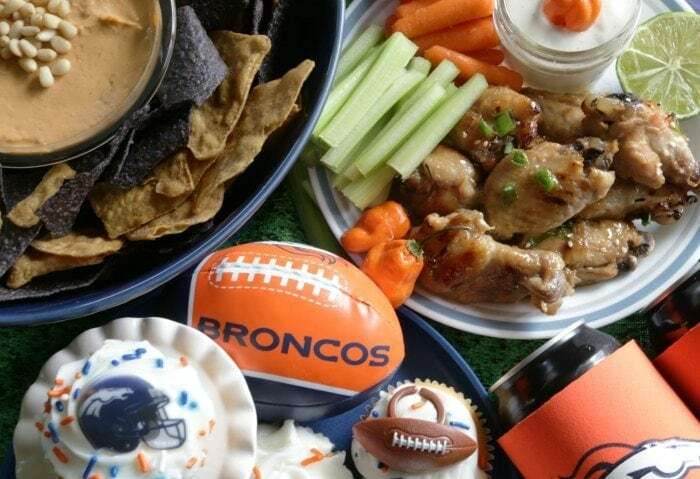 I was also looking for some Broncos themed sides and discovered blue and orange chips from Simple Truth brand- blue corn tortilla chips and sweet potato chips. Let me tell you- the sweet potato chips are going to be a new staple in our house- they are DELICIOUS. Like, amazing. 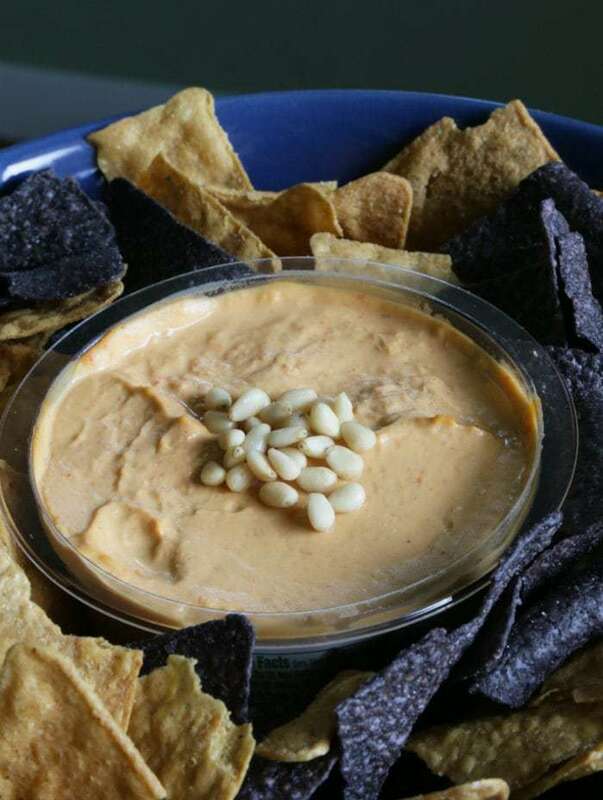 I added some red pepper hummus and salsa that were in the fresh salsa area by the deli and we were set. 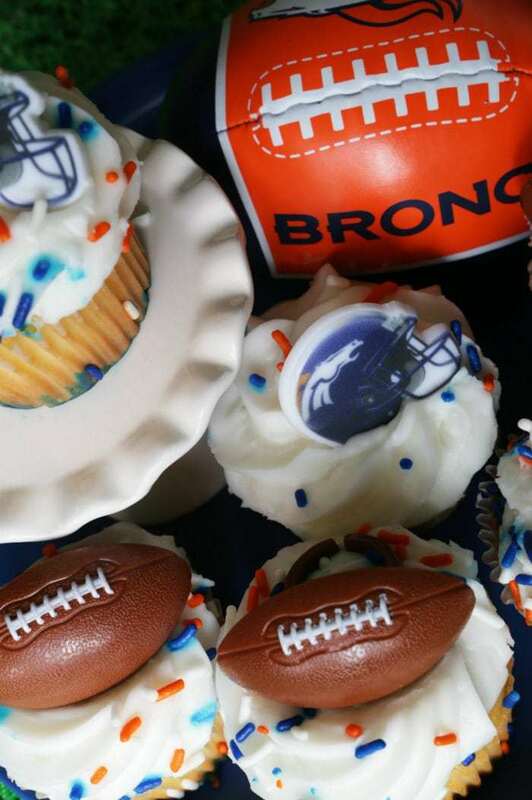 Of course, a party isn’t a party without some sweet treats, and I also found a ton of cute Broncos themed treats in the bakery. I picked the cupcakes because they had little game day themed rings on top, and I knew the girls would love them. 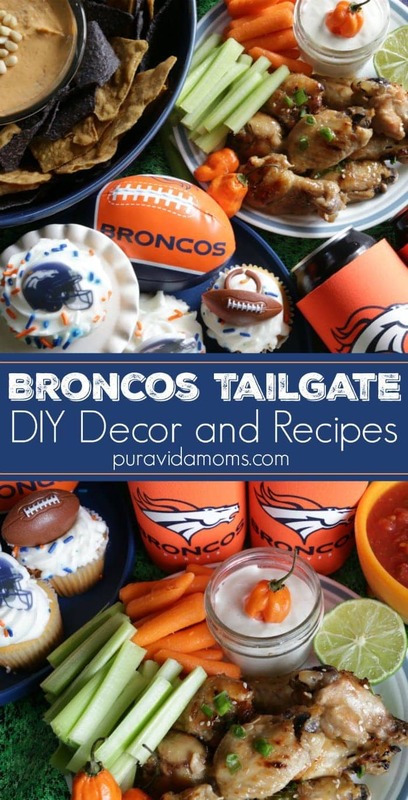 Then I grabbed cute Broncos plates, napkins and koozies in the seasonal aisle and I was ready to roll! I grabbed some chicken wingettes from the meat counter at Kroger and then picked up the rest of the ingredients in store. I used local honey for this recipe too- and King Soopers had several brands to choose from. Once home I whipped up the sauce, put the wings in the slow cooker, and got ready for the second Broncos preseason game- not as much of a slaughter at the first one. At half time I threw the wings under the broiler- 2 minutes and side, and we enjoyed a fun Broncos-themed feast as a family- and everyone was full and happy- about the food at least. 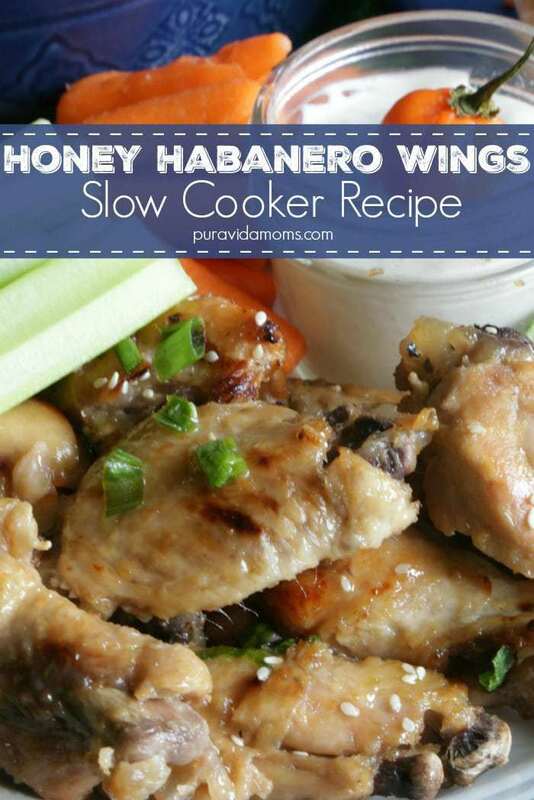 Here’s the easy slow cooker habañero wings recipe. 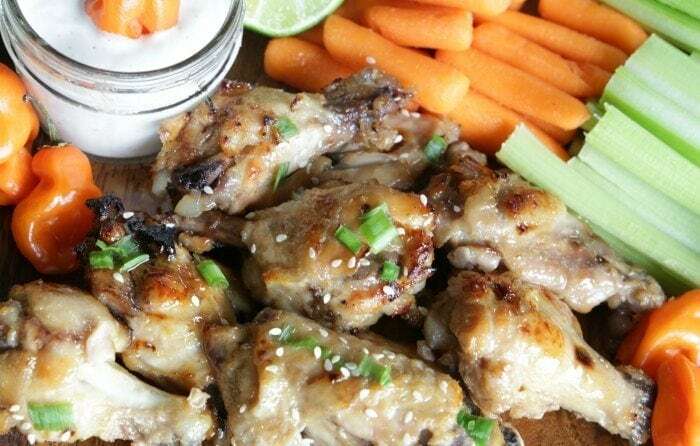 These chicken wings are practically no prep with a delicious sweet and spicy sauce- perfect for a game day tailgate. With honey, butter, habañero sauce, garlic, butter and vinegar, everyone will be licking their fingers! A great appetizer or main dish served with carrots, celery and a huge salad. 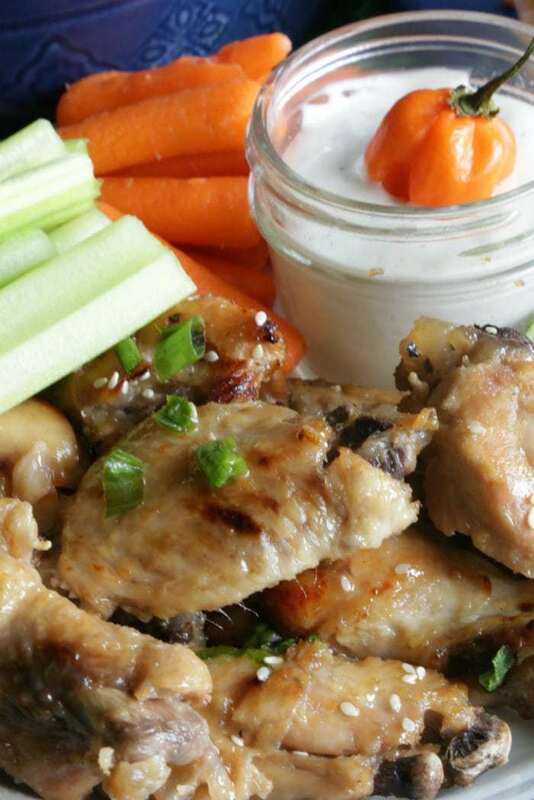 Place chicken wings in the slow cooker crock. Pour about half of the sauce into the slow cooker crock, and lightly stir so the wings are evenly coated. Cook on high for 3 hours or on low for 4-6 hours. Place remaining sauce in the refrigerator. When wings are cooked, cover a baking pan with aluminum foil and place wings on the pan. Brush with about half the remaining sauce and broil on high for 2 minutes. Repeat on the second side. Serve with ranch or blue cheese and veggies! This post is in partnership with Kroger. Thank you for reading and supporting companies we partner with, which allows Pura Vida Moms to create more unique content and recipes for you. All opinions are always our own.